In late January this year, Tajik President Emomali Rahmon replaced the senior management of state-owned Tajik Air for the third time in the last four years. Tajik Air had been generating losses for several years in a row. President Rahmon decided to help the flag carrier out in May 2015 by merging the troubled operator with relatively successful Dushanbe Airport into a single holding company. Recently, however, the president revised his decision, canceling the newly merged entity (which had not yet had time to begin operations) and placing Khairullo Rakhimov at the helm of Tajik Air. The new Tajik Air CEO was formerly senior manager at formally privately owned Somon Air, which has remained the country’s leading airline for the past few years. Rakhimov used to be Somon Air’s director for liaisons with government agencies. In 2015, Tajik Air carried 16% fewer passengers year-on-year: 312,000, compared to 2014’s 371,000; 87% of these were carried internationally (against 94% the year before). Russia remains the airline’s primary market, with more than half of Tajik Air’s international destinations located there. “The fact that Russian carriers have become more active on our market has added to the shrinkage of our passenger numbers,” a Tajik Air source confides. “They have taken over a significant portion of the passenger traffic between Russia and the Tajik cities supplying the lion’s share of migrant workers, i.e. Qurghonteppa and Kulob [both in Tajikistan’s Khalton Province].” According to the Russian Transport Clearing House, Russian airlines last year carried 894,000 passengers between the two countries on regular flights (9th position among all foreign countries served by Russian carriers, and down 13% on 2014). Tajik Air has no immediate plans to inaugurate new flights to Russia. This year, the carrier is focused on China, planning to resume services to Urumqi and launch a Beijing route. 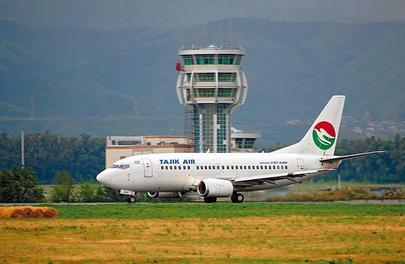 As part of its route network development program, Tajik Air is looking to lease more airliners. Last fall saw the delivery of the carrier’s second Boeing 757-200; one more of the type may be added this year, as well as the first examples of the Boeing 767 wide-body. Rakhimov has also instructed his team to restore the carrier’s two Xian Aircraft MA60 regional turboprops to airworthy condition. Both airliners have been grounded for technical reasons since mid-2015. Tajik Air is the only CIS operator of the type. Apart from Boeing 757-200s, Tajik Air currently operates several Boeing 737 Classics built in the 1990s (including on the domestic route between Dushanbe and Khujand), as well as one each of the An-28 fixed-wing turboprop and the Mil Mi-8 helicopter (both mostly used to operate flights to Khorugh, Tajikistan’s major administrative center). Rakhimov’s recovery program is expected to help the carrier increase passenger numbers and improve its financial standing. The airline’s accounts payable more than halved in 2015 compared to the previous year (to around $25.4 million at the current exchange rate). As part of the program to support the flag carrier, the national air navigation provider, Dushanbe and Khujand airports, have written off around $6 million of Tajik Air’s debt, and the state insurer waived the carrier’s debt to the tune of $3 million.